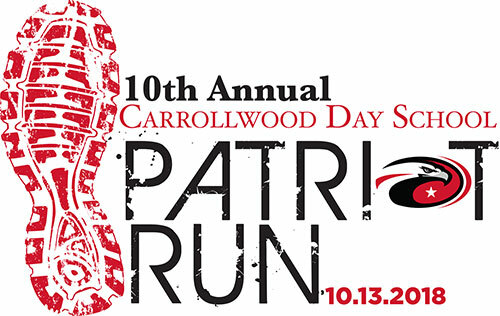 Carrollwood Day School's Patriot Booster Club. The day starts with a FREE breakfast! Plan to join us for this CDS tradition and day of family fun! In addition to the exciting races, additional activities include an inflatable activity and crafts! Become a Sponsor or Register as a participant online! You can run to beat your best time or enjoy a great walk around our beautiful campus. There will be awards for the top male and female finishers overall and also for the top male and female finishers in two age categories. There will be childcare for children ages 2 through 10 available on the route during the 5K. This has become a student favorite event as they watch their parents and faculty/staff in the Parents vs Faculty/Staff Co-ed Sprint Relay. This is great for parents to do with their children and it is excellent practice for the Patriot Fitness Challenge which is part of CDS physical education. All children participating in this run will receive a medal. 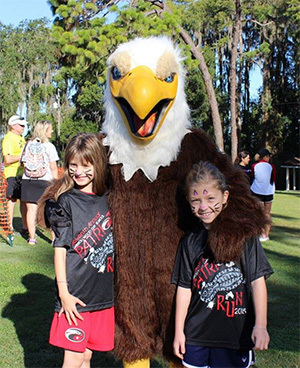 There will be short races for children ages 2 through 11. All children participating in the races will receive a medal.